NAMED after Biloela's own playwright and actor, the Bille Brown Studio in Brisbane is undergoing a $5.5 million transformation. The studio was originally opened in 2002 by the Queensland Theatre Company as Brisbane's first corner stage in honour of the "Boy from Biloela". It is being constructed into a 351-seat Bille Brown Theatre, a state-of-the-art corner stage. It is set to officially open in October this year. 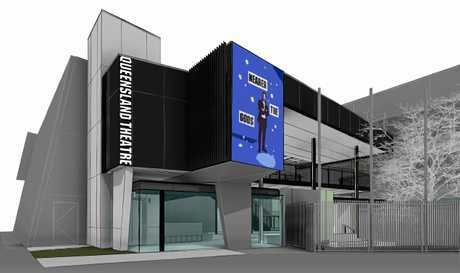 Queensland Theatre Company executive director Amanda Jolly said the seats would be around the three sides of the stage. It will only be nine rows deep, allowing for intimate performances. The new theatre will also include fixed seating, a lift to the upper level and the ground, technical innovation, two new dressing rooms and extension to the bar and foyer. "It will be a fantastic new theatre space for Brisbane, it will be very sophisticated," Ms Jolly said. Working with Brown's sister, Rita, there will be a niche at the back of the theatre where some of Brown's ashes will be displayed with a quote. "So he can inspire the next generation of actors," Ms Jolly said. There will also be a Ben Quilipe portrait of Brown, donated by Brown's good friend Geoffrey Rush, in a pride of place. Ms Jolly described Brown as one of Queensland's foremost actors. "I think it is a theatre space he would be very proud of," Ms Jolly said. Brown sadly passed away in January 2013 after a 12-month battle with bowel cancer, just days after he turned 61. 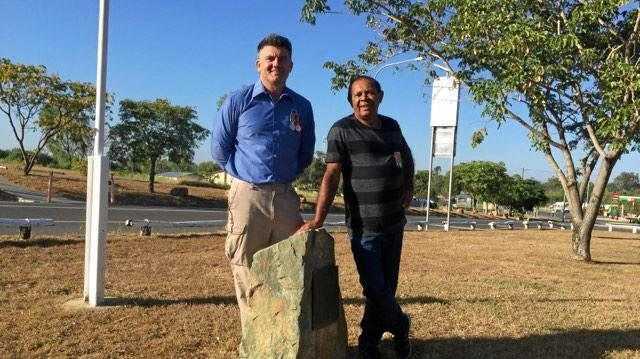 He left a huge hole in Biloela's community and the Queensland arts scene. Brown spent his childhood in Biloela before attending the University of Queensland to study drama. 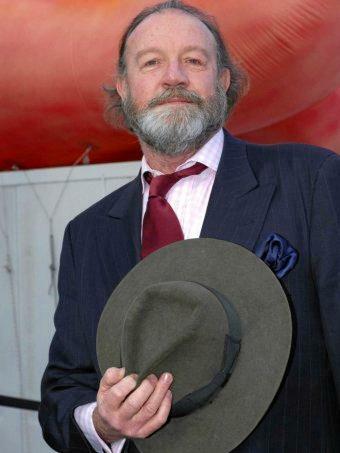 He began his career in the early 1970s at Queensland Theatre Company, working alongside Geoffrey Rush, who became a close friend of his. He played many roles during his impressive career that spanned more than 90 productions. Brown's career began in Britain with the Royal Shakespeare Company, where he was the first Australian to be commissioned to write and perform in their own play, The Swan Down Gloves. Brown toured with the Shakespeare company in productions throughout Europe, playing Paris, Vienna, Berlin and Munich. 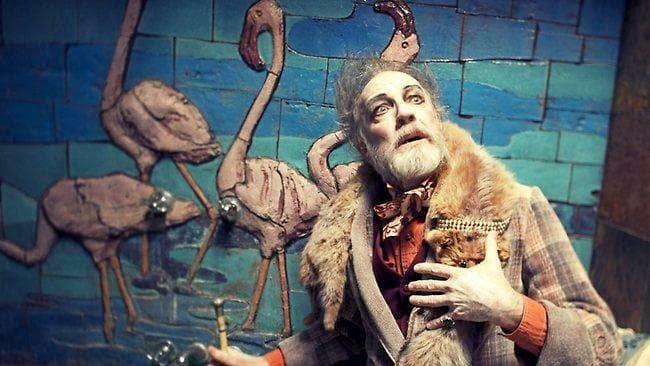 He acted in the company's premiere production of The Wizard of Oz in the gender-bending roles of The Wicked Witch of the West and Miss Gulch, for which he was nominated for an Olivier Award in 1988. Brown made his Broadway debut in New York as an actor in 1986 in Michael Frayn's Wild Honey, and as a playwright with his adaptation of a benefit performance of A Christmas Carol in 1985. He also spent time as an artist-in-residence and visiting professor at universities. Returning to his home country in 1996, Brown had an outstanding performing for many leading Australian theatre companies, including Queensland Theatre Company, Sydney Theatre Company, Bell Shakespeare Company, Melbourne Theatre Company and the Old Tote Theatre at the Sydney Opera House. He took to the other side of the stage in 1996, directing the Australian stage production of Hugh Lunn's Over the Top with Jim. He played in the opening production for Playhouse in Brisbane Beaumarchais' The Marriage of Figaro, with Geoffrey Rush in September 1998. He also taught workshops and master classes to drama students at the University of Queensland. In 2009, Brown used his Biloela upbringing and wrote and performed The School of Arts, a play following the story of the old "College Players" who toured Shakespeare through Queensland in the late 1960s. He took influence from his fondest memories in Biloela including the plays his mother staged with the local drama society and recalls going to the movies, the cakes with passionfruit icing at CWA events, marching bands, the games he played with friends and the football that had a pragmatic outcome, Brown declaring all that yelling at wayward players helped him develop a voice for the stage, as he told The Courier-Mail in 2007. "It should not just be a monument to me but an encouragement to others to pursue what they are good at and love doing."